With Geochests Mod, you can take the world with you. By only a short introduction, I make sure you will be interested in all the things in this mod. 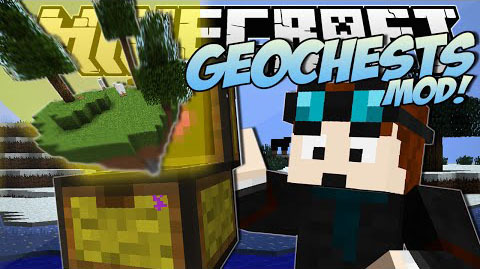 Geochests let you pick up and place down areas of blocks in the world. Pick up Geochests and carry them with you – they keep their inventory. 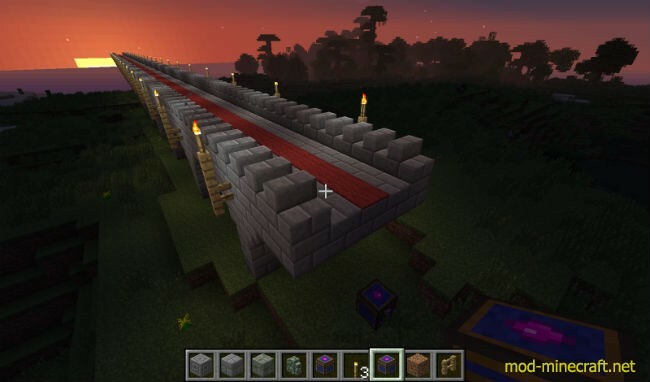 Supports all vanilla block types as of Minecraft 1.6.4 in both Survival and Creative mode. Responds to a redstone signal allowing complex new interactions. 5 different colours and sizes – From 3×3 through to 11×11. Chaining Geochests allows you to store areas of any shape or size. Like that village, now you can steal it. To build Geochests, you will need geodite which is mined from geodite ore and you will need lots of coloured wool. Geodite ore only exists above sea level and is most easily found in the extreme hills biome where it is sometimes exposed on cliff faces. Alternatively, you can craft Geodite by placing an emerald and some magenta dyes into the crafting grid. 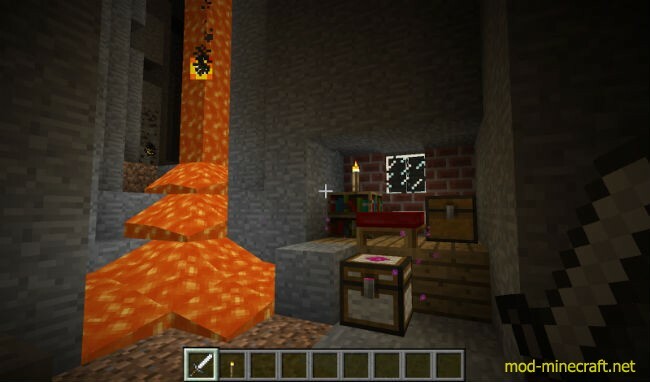 You can now use the config file to turn on/off world spawned Geodite ore and/or crafting Geodite to suit your tastes. 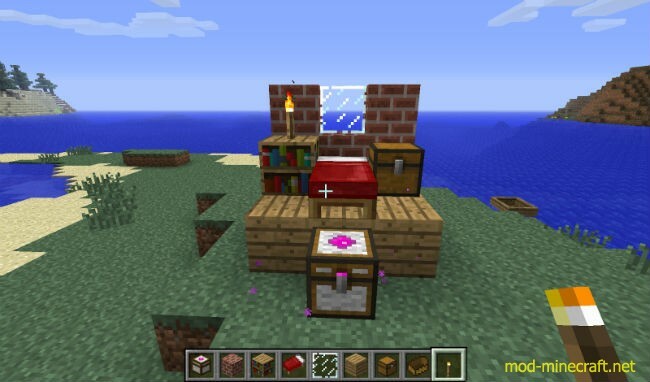 To build a 3×3 White Geochest, you place a normal chest in the middle of a crafting table. You place geodite above it and fill every other square with white carpet. To upgrade to a 5×5 Yellow Geochest, you use the same recipe but with a White Geochest in the middle and using yellow carpet instead of white. Use the same pattern to upgrade Yellow to Blue (7×7), Blue to Red (9×9) and Red to Black (11×11). To trigger a Geochest, you should right click on it, then press the button with the Geochest icon on it. This will swap whatever is in the chest with whatever is in the world in front of the chest. If you have multiple Geochests, you can name them to easily distinguish between them in your inventory. You can use the textbox to the left of the button with the Geochest icon. The larger the chest, the longer its name can be. 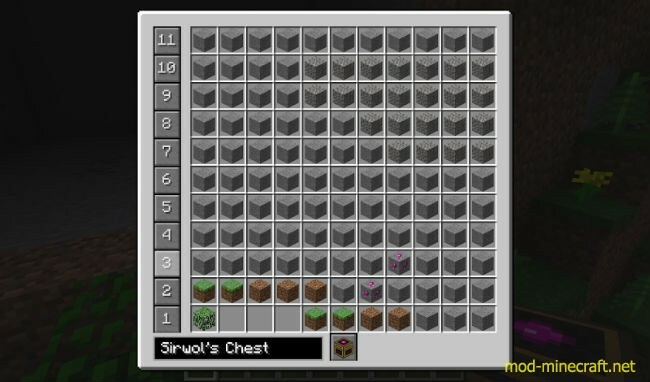 When other Geochests are placed within the area of the first, triggering the first chest will also trigger the others, before placing them in the Geochest’s inventory. This allows you to chain Geochests. Once you have enough geodite, experiment with chaining Geochests – you can chain many more than just 2 chests together, in fact the potential for chaining is near limitless. When working with large chains, you may find a Geovisualizer useful. You create this by crafting geodite with a stick, then to use it, simply equip and right click on a Geochest – this will toggle showing the area that will be collected by the current chain. If you are running a server, you can set the maximum chain limitations in the Geochest config file to protect your server from excessive use of this feature.